The house in Miami Playa has 2 bedrooms and has capacity for 6 people. The house is homelike, is fully equiped, and has 70 m². It has views to the garden. It is located 100 m from the sand beach, 1000 m from Miami Playa city, 7 km from Bonmont golf course, 9 km from Cambrils city, 18 km from Port Aventura amusement park / theme park, 20 km from Aquopolis water park, 20 km from Reus airport. The house is situated in a quiet neighborhood next to the sea. 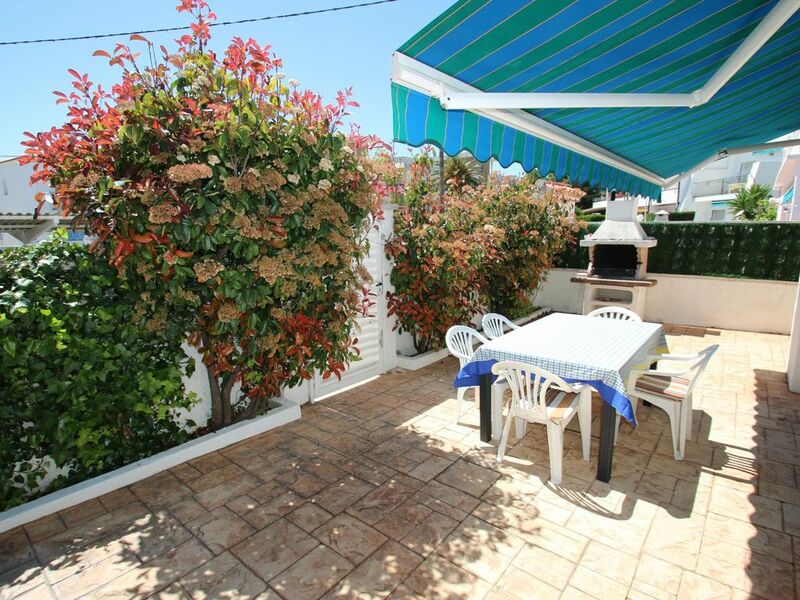 The accommodation is equipped with the following things: garden, garden furniture, fenced plot, terrace, barbecue, iron, internet( extra charge), 1 tv, satellite (Languages: Spanish, English, German, French). In the vitroceramic independent kitchen, refrigerator, microwave, oven, washing machine, dishes/cutlery and coffee machine are provided. De ligging,kort bij de zee. Dubbel bed ,slechte matras en vering. Groene stoelen op terras versleten. Logement spacieux et plaisant, au calme à quelques mètres d une plage propre et surveillée. Accueil sympathique,parlant français. Location à recommander. Evaluacion de mis vacaciones en Junio del 2016. Todo mui bien, lugar tranquilo y mui soleado todo el dia, si esta disponible pienso regresar al mismo, en mis procsimas vacaciones.